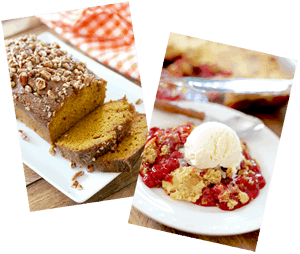 I am super excited to be sharing holiday recipes again! I just love this time of year! I am always searching for ways to make my hostess duties as simple as possible during the holidays. 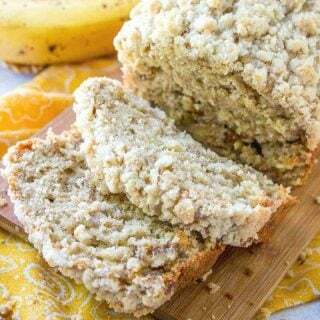 I love to come up with ways to prepare really amazing food but keep it easy so I can actually hang out and enjoy that time with my family and friends. There is nothing worse than getting hot and sweaty and fussing in the kitchen when everyone else is laughing and having a grand ole time without you. So, that is why I’m excited to share some of my tips and tricks with you. You will look like a hostess superstar AND enjoy time with your loved ones! 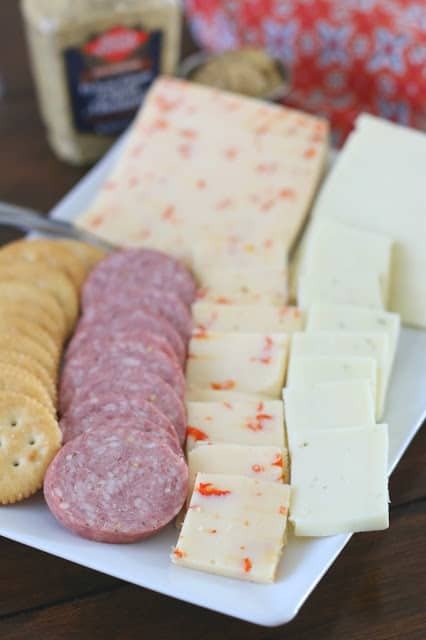 First tip: grab some high quality meats and cheeses to serve as a quick and easy appetizer for your holiday guests. My husband usually takes care of this bit. It comes together in minutes. 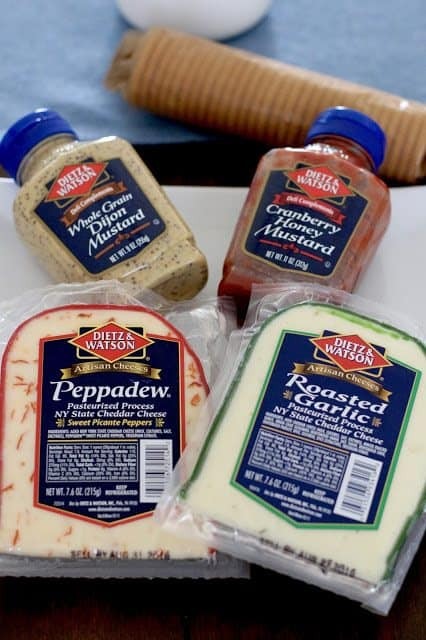 The DIETZ & WATSON cheeses and sauces (pictured below) are some of my new favorites. That PEPPADEW CHEESE was SO good. I’m thinking I need to try that on a burger soon. 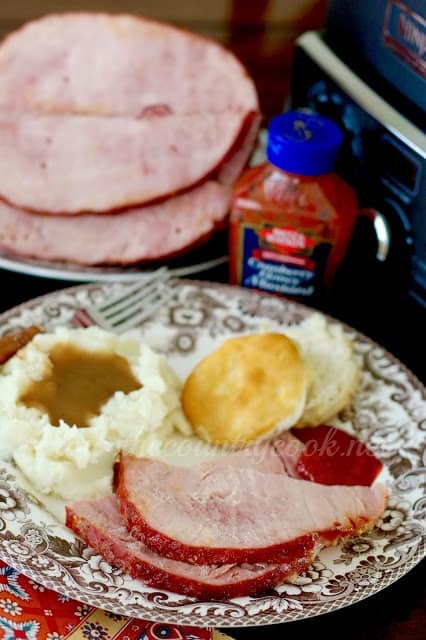 The WHOLE GRAIN DIJON MUSTARD also goes fantastic with this crock pot ham. It also works perfect with ham sandwiches so make sure you save any leftover ham! Slice it all up and serve with some buttery crackers and SUMMER SAUSAGE. 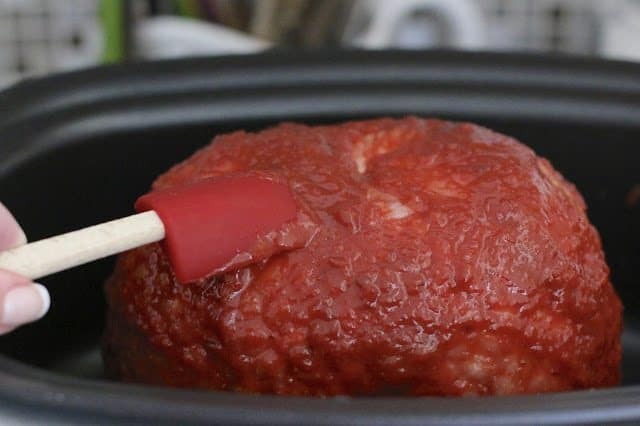 Second tip: Make a whole ham in the crock pot! My oven is prime real estate over the holidays. I’m usually making pies or some sort of side dish. By utilizing my slow cooker, I am freeing up oven space. It doesn’t get much simpler than this. 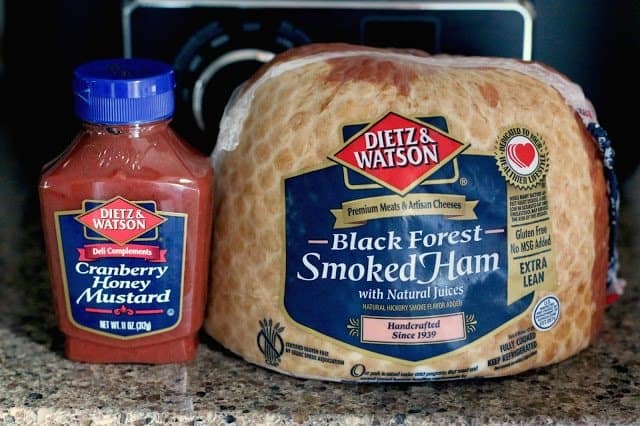 The DIETZ & WATSON CRANBERRY HONEY MUSTARD not only packs a ton of flavor, it also gives this ham a gorgeous color. 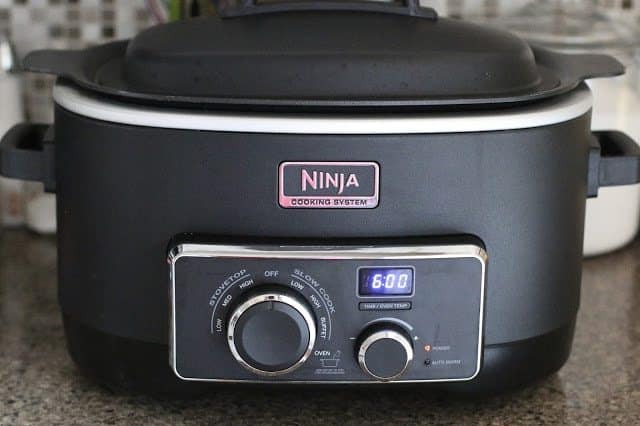 No one will know you made it in a crock pot unless you want them to. I was totally blown away with how good this sauce worked with the smoked ham. And, by using a smoked ham, you get lots of flavor and it’s already cooked for you. All you’re doing is heating it back up. 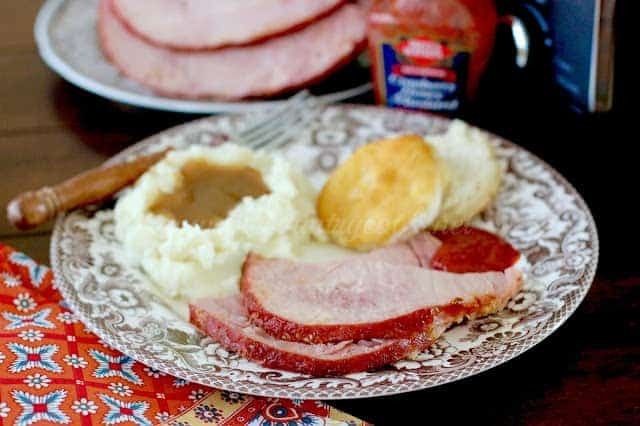 The slow cooker keeps that ham nice and juicy! 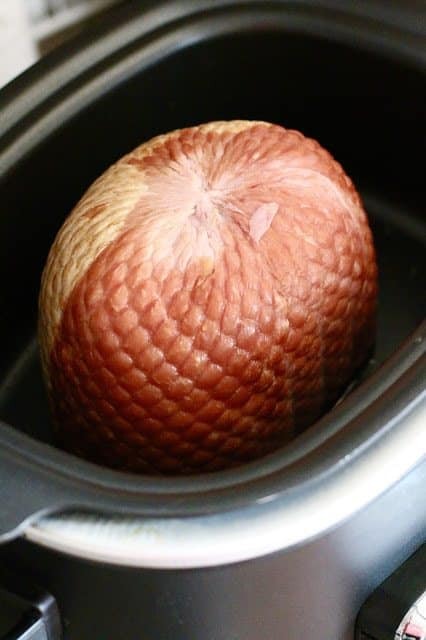 Place ham, cut side down, into slow cooker. Pour Dietz & Watson Cranberry Honey Mustard over ham. Spread to make sure the ham is coated well. 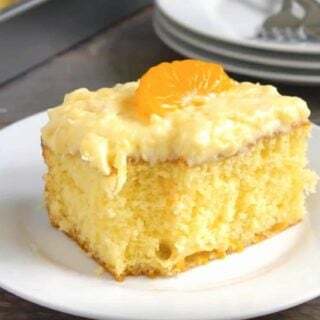 Then slice and serve. 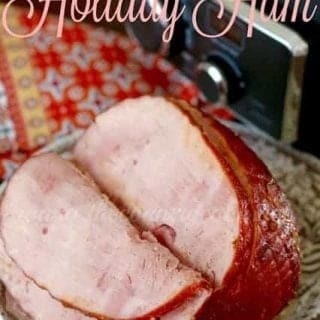 Look at the beautiful color the Cranberry Honey Mustard gives this ham! I like to serve the ham with some of the leftover Cranberry Honey Mustard. 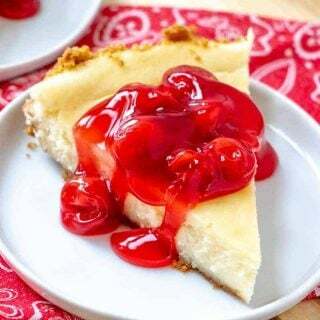 Cook’s Notes: If you can’t find the Cranberry Honey Mustard, you can substitute with 1/4 cup cranberry jelly with 1/4 cup prepared honey mustard. Stir well, then pour over ham. You can purchase all of the products I used here at DIETZ & WATSON’S online shop, see HERE. Pour cranberry honey mustard over ham. 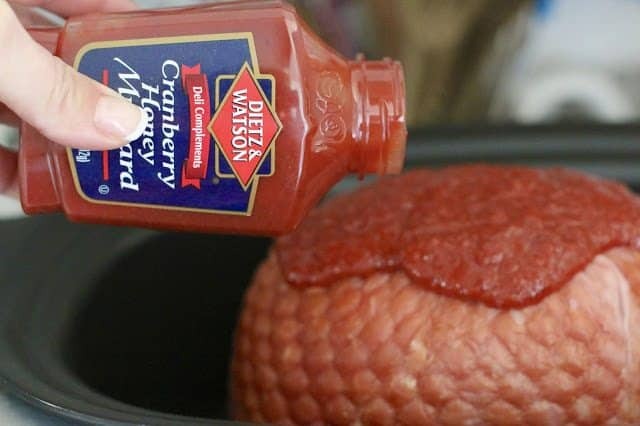 Spread sauce to make sure the ham is coated well. 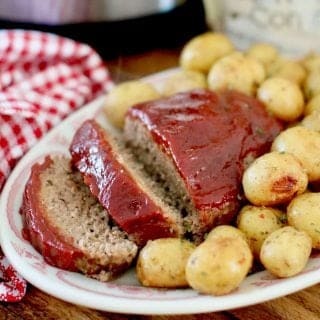 Then carefully remove ham from the slow cooker and place onto a plate. 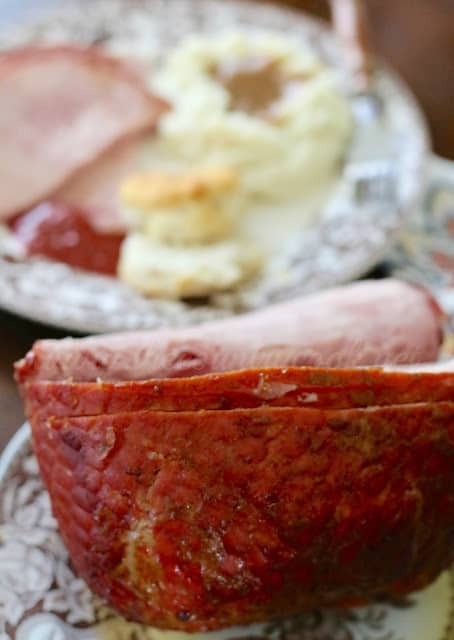 Slice and serve ham with Cranberry Honey Mustard. If you can't find the Cranberry Honey Mustard, you can substitute with 1/4 cup cranberry jelly with 1/4 cup prepared honey mustard. Stir well, then pour over ham. You can purchase all of the products I used here at Dietz & Watson's online shop, see HERE. 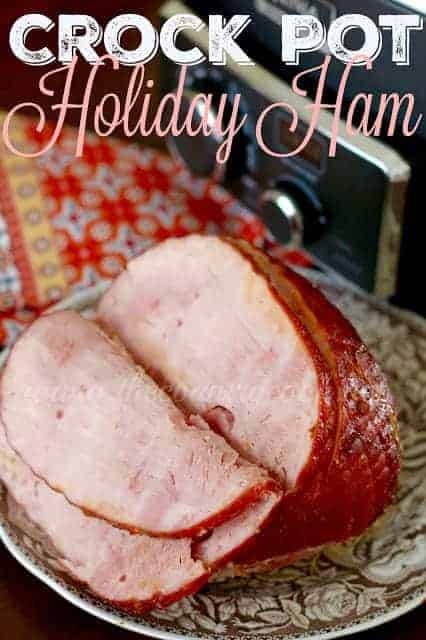 I made this crock pot ham before and we absolutely loved it I’m making it again for Easter. ???? 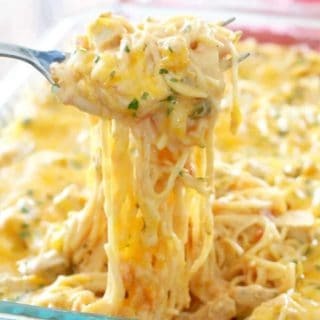 thank you for the receipe. I feel like stockpiling that mustard. 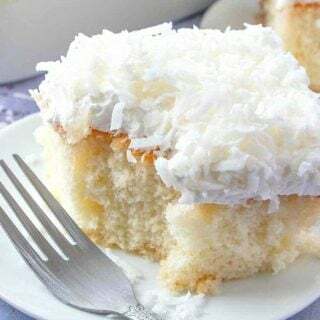 I am so glad you are enjoying this recipe. Hope you have a wonderful Easter!